What distinguishes us from apes? Well, especially our education. 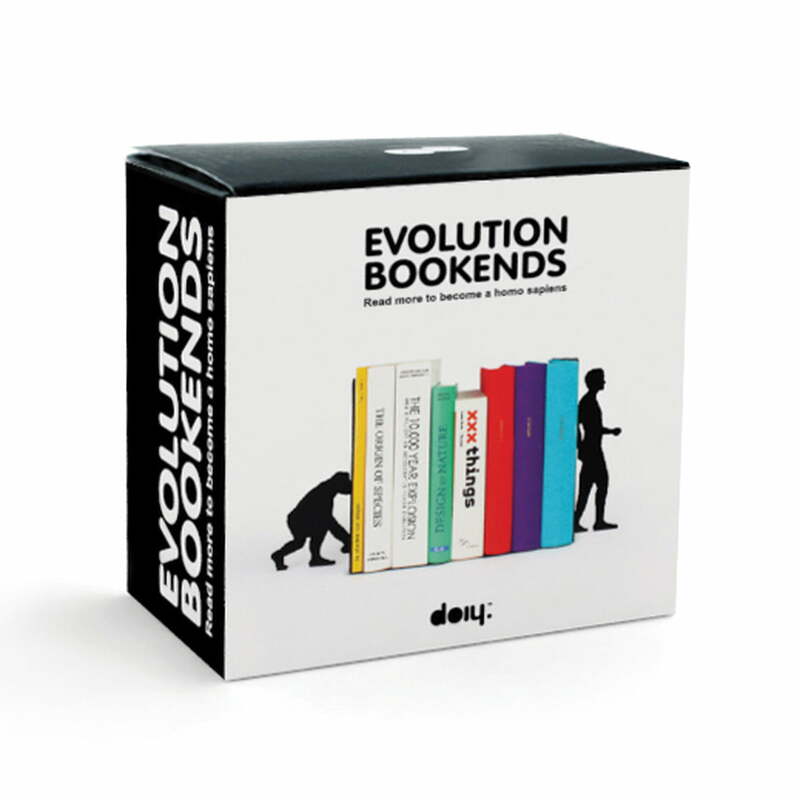 Doiy takes this as a model and presents us with a bookend that displays evolution from primates to homo sapiens. By means of reading: The more you know, the more human you feel. And the things we read shape the person we are. Everything from ape to the current humans has been documented in books and the Evolution Bookend shows us what this means exactly. 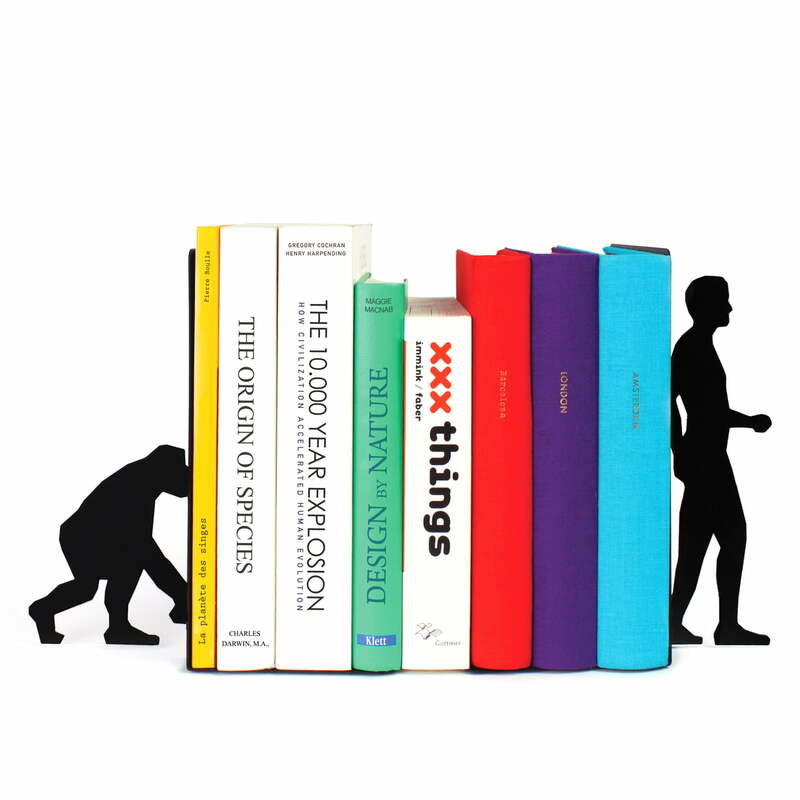 Whether you differentiate yourself from primates by means of knowledge in literature, physics or another scientific field, the creative Evolution Bookend by Doiy publicly displays your interests. Doiy manufactures the Evolution Bookend out of metal, so that the weight of your knowledge won’t weigh down your bookends. 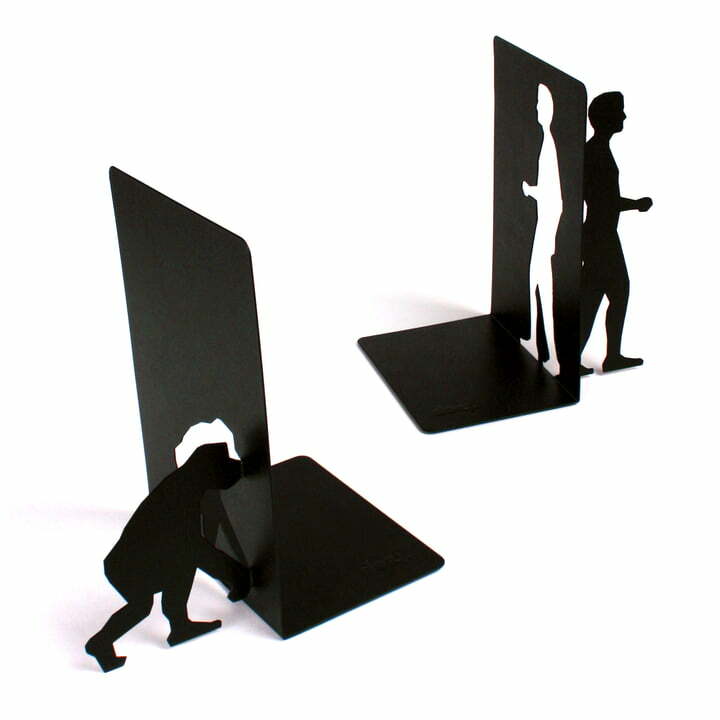 This way, the bookends might survive several evolutionary steps.